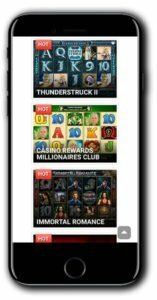 NEW Quatro Casino: Get up to 700 Bonus Spins in 7 Days! At NEW Quatro Casino enjoy bonus spins for seven days and play seven incredible Microgaming slots including Immortal Romance, Avalon and Forbidden Throne! Collect up to 100 Bonus Spins per day with a maximum of 700 bonus spins up for grabs depending on your deposit amount. 700 Bonus Spins in 7 Days! 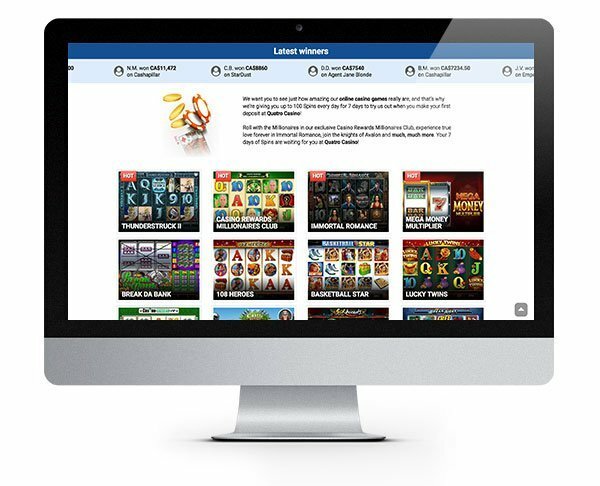 This casino is dedicated to Microgaming, and you can enjoy everything they have to offer on your desktop or mobile! The casino software is available to download, or you can play instantly via your browser. The choice is yours but your time and system capabilities may determine which you go for. Either way, you can expect high-quality gaming from this leading software developer! The casino design is fairly modern and quite impactful despite having launched way back in 2009 it still performs well and stands up against many newer casinos. The layout is fairly typical, and players shouldn’t have any issues finding their way around the games and casino features. Quatro Casino is licensed and regulated by the UK Gambling Commission and the Malta Gaming Authority. Those are some strict regulations so you can be sure you are playing somewhere safe and fair. Any questions or concerns can be directed to their friendly support team who are available 24/7 via live chat, telephone and email. The deposit and withdrawal process has been made as simple as possible while maintaining player security to a high standard. Transactions are protected using digital encryption technology and only trusted, and secure payment providers are welcomed. Deposits can be made from $10 via Visa, MasterCard, Maestro, EntroPay, Neteller, Skrill, Paysafe Card, PayPal and QIWI. The minimum withdrawal amount is $50, and requests are subject to a two day processing period. Quatro Casino’s partnership with Microgaming means they have well over 500 games at their disposal. 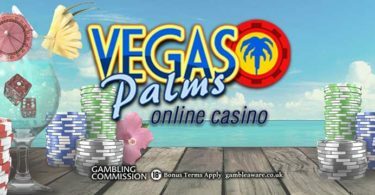 The collection of games will be fully available to you when you download the casino software, or alternatively, you can play a smaller selection care of their instant play, flash version games. 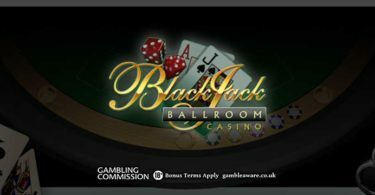 As well as some of Microgaming’s most famous slots you can also play nearly 20 different progressive games, dozens of blackjack and roulette titles, over 40 video pokers, scratch cards, bingo, keno and much more…phew! They are probably most famous for their slots, and when you have titles like Tomb Raider, Immortal Romance and Thunderstruck II in your back catalogue, it’s no surprise as to why. Their video slots have the ability to take you on some fantasy adventures and to crazy far off lands. No matter what you are looking for, it’s likely they will have a game that fits the bill! Quatro Casino is a great setting for which to enjoy all the very best games Microgaming has to offer. Plus they are adding to their collection all the time, so this is only going to get bigger and better! IMPORTANT NOTICE – Make sure you are aware of gambling regulations in your country of residence. Ensure you are not playing from a restricted country before you sign up to Quatro Casino. A top quality casino powered by Microgaming. Collect a stash of bonus spins to enjoy on seven Microgaming slots when you sign up to Quatro Casino!